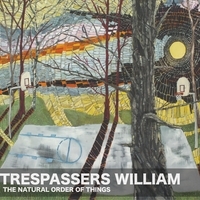 Trespassers William and their multiple corresponding side projects have always been hit or miss when it comes to producing songs that are lyrically heavy as well as experimentally obscure. But, when they do find the right combination, keep your ears open during your late night television viewing because you are likely to hear them during a crying or “finding love” scene on your favorite melodrama (they’ve have been featured on The O.C., One Tree Hill, and more). After a small stint off touring the whole damn planet, the prodigies of the strange are back with the EP The Natural Order Of Things. And although they are smaller in size, they are back in a big way. 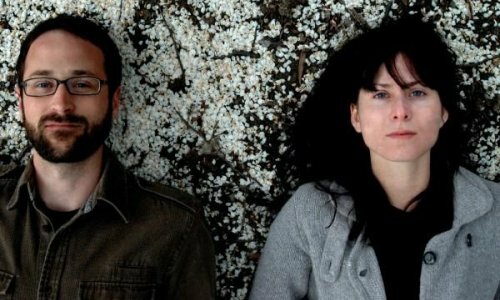 Stripped down and dirty, this album brings out the more folk side of this duo as they strum through five unusually catchy ditties new fans will surely enjoy. This is not to say that strange buzzing and haunting tones are not available. Anna-Lynne Williams’s transcending voice is as sparkling as a dimly lit flame. “I Could Go Back” is a valiant effort on their part create something worthy of an MTV2 audience. But, it is the lovingly eccentric cut “Catch No Break” that slows the pace to a comfortable stroll through the spirit of Trespassers William. Always the spontaneous ones, Anna and Matt have never sounded better together. Maybe it was their solo work that would inevitably lead them to develop such fine teamwork. It’s been two years since their last album, The Noble House, and they certainly don’t seem to have lost anything. In fact, their new minimalist approach in The Natural Order Of Things is not only a fair follow up the their previous ten years of work, it is quite possibly the best record they have made thus far. And with their long and scattered discography, that is no small feet to say the least. The Natural Order Of Things can be purchased from CD Baby. This is frickin’ awesome and I can’t wait to catch them at the Knitting Factory in L.A. this weekend.